← Twenty-Three Years of Starbucks Chocolate and Candy and M&M’s — Oh My! 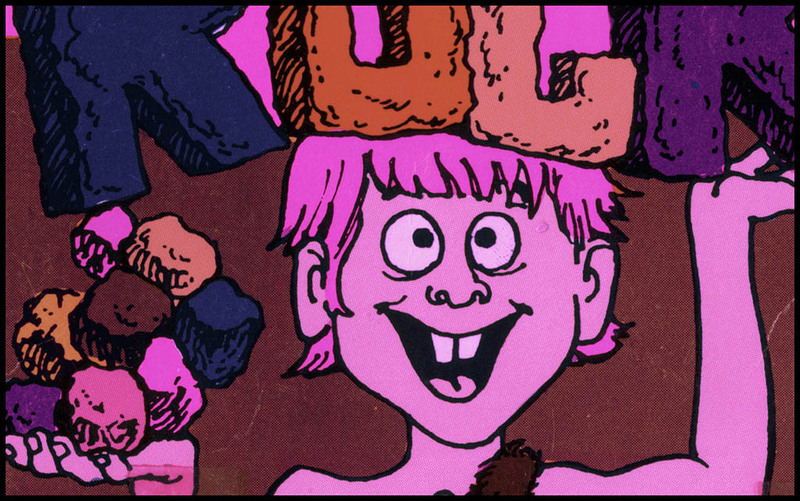 It’s a neat little package featuring a fun caveman mascot and illustrated chiseled-rock logo. The gum itself was of the pebble-style made popular by Gold Rush gum and later copied by several other manufacturers. The mascot and logo remains in place for the vending version of the product. I suspect that Swell/American distributed this product under different names later on and if I ever find clear evidence of that, I’ll add that info here. For now this is all I’ve got to share on this previously-unknown bubblegum brand. So it ends up being a short post for today but one that adds this delightful brand to the confectionery historical record. 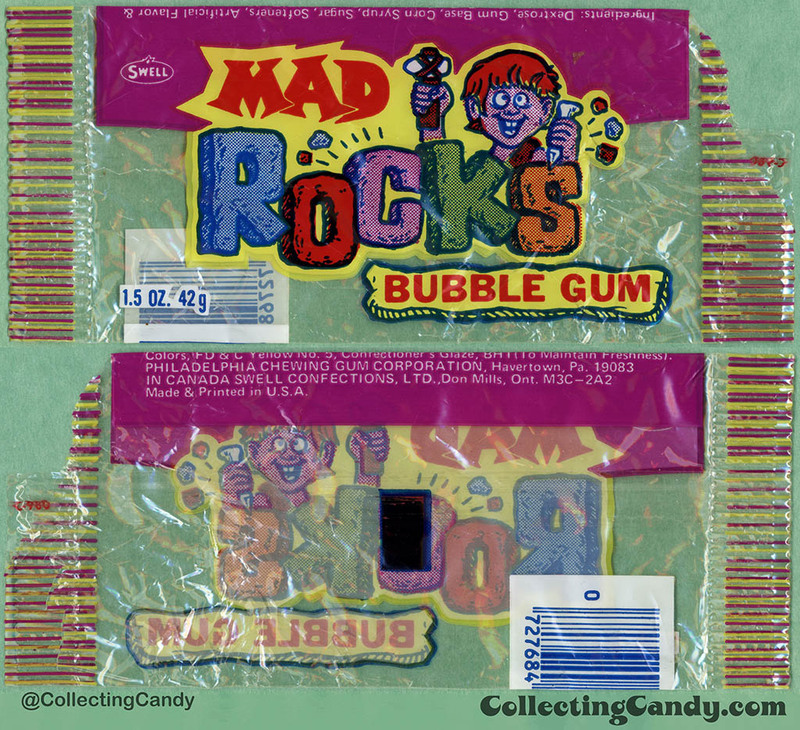 If anyone out there remembers Mad Rocks bubblegum, I’d love to hear about it. Let us know in the comments below. And that’s everything for today. See you next time! This entry was posted in 1970's, 1980's, Bubble Gum, Gum and tagged 1970's, 70's, bubblegum, candy collecting, candy collection, candy collector, candy wrapper collection, candy wrapper collector, collectible, collecting candy, confectionery, confections, Gold Rush, packaging, packaging design, Philadelphia, Philadelphia Chewing Gum, sweets, Swell, vintage candy wrappers, wrapper. Bookmark the permalink. 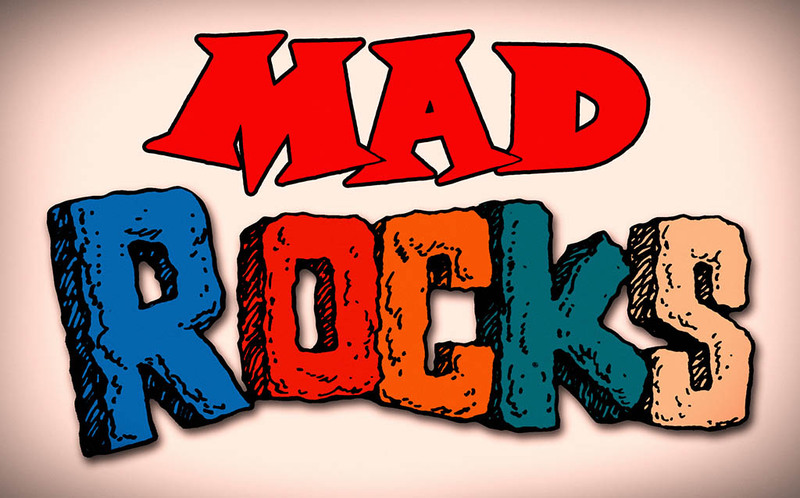 1 Response to Mad Rocks Bubblegum! 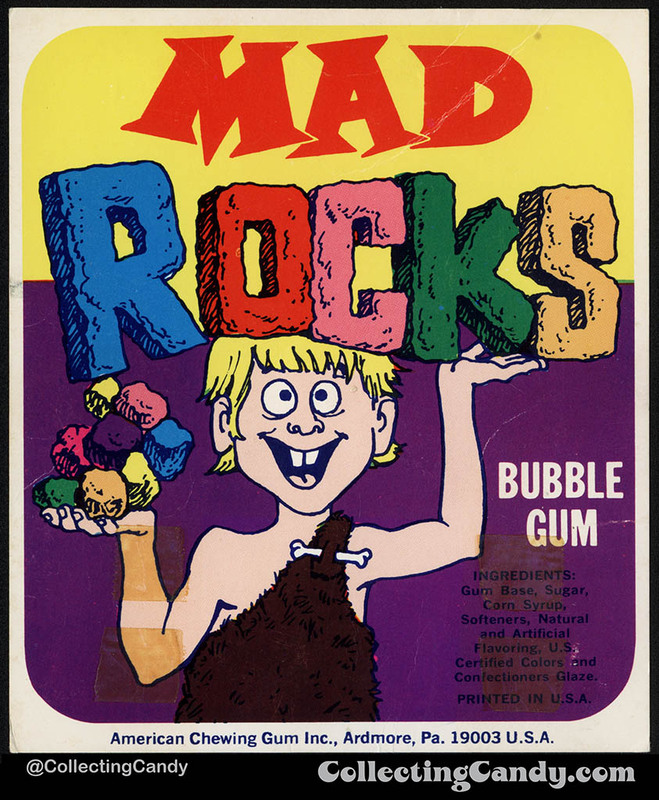 I bet MAD ROCKS Bubblegum was not connected to MAD Magazine.